At the time of his death in 1917, Francisco was married to his second wife Maria Teresa Del Pozo. He still had a large family from his first wife Rafaela Serrando y Ruiz. Those children stayed in Ecuador. Very soon after she had buried her husband, Maria Teresa must have been making plans to leave Ecuador and emigrate to the the U.S. A move like this would have involved significant planning – many months – together with significant paperwork, etc. What we know for sure is that two years and four months after her husband’s death she arrived at Ellis Island (June 24, 1919) with her four very young children and was granted entry into the U.S.
She knew she was ill and from her husband she knew that medical practice was more advanced in North America1. Maria Teresa had a sister, Ines Del Pozo Wilson who had given birth to two baby girls – one in Peru and one in Ecuador. This sister was again pregnant with another child in 1919. She wanted this child to be born in the U.S. and so she traveled to the U.S. in 1919 arriving just a few months after Maria Teresa herself in the fall of 1919 2. 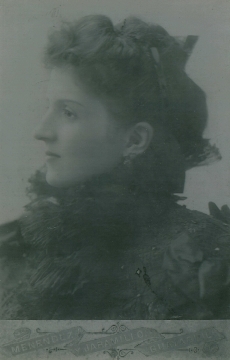 However by that time she had been living in Cuba since her husband had a business there; but it is reasonable to assume that she may have been in Ecuador at the time of Francisco Martinez’ death in 1917 and may have been in close contact with her sister Maria Teresa at the time of Francisco’s death. Her husband was doing well financially; it is quite plausible that Maria Teresa’s decision to migrate to the U.S. may have been influenced by her knowledge of her sister’s experiences in the U.S. 3. It must be remembered that this woman (Maria Teresa) had lived through “The dragging of Eloy Alfaro”, and the associated civil unrest, only five years earlier – an event which spelled imminent danger to her husband’s life from hostile extremist elements among the pro-Catholic faction of Ecuador’s population – resulting in his exile to Chile4. He had only returned from this exile two years before his death so it would be logical to expect that all of these events would have been rather fresh in the mind of Francisco’s widow. She probably shared some of this exile with her husband, though the details are still being researched. It is known that the birth certificate of her youngest child Bonifacio places his birth in Ecuador5 just months after her husband left for his exile in Chile. There is reason to believe that she joined him in Chile sometime after that as sources external to the family have reported that he was exiled “with his family”. Immigration to the U.S. was easier in 1917 than it was in later decades when quotas would be imposed for each country. The only problem was the arbitrariness of the exclusion. Immigration officials on Ellis Island had enormous power to exclude immigrants whom they considered to be undesirable (or “likely to become a public charge”)6. In the end however, only about 2% of immigrants would be excluded – it was just the arbitrariness of the exclusion process 7 that was problematic. Maria Teresa might have known about these potential obstacles since her husband had traveled back and forth over the years and her son had emigrated – through his company – before her. It must be borne in mind that Francisco is known to have made several trips to the U.S. even after his graduation in 1871. His son Bonifacio would relate that he made several trips to look after sons from his first marriage who were studying in the U.S. and it is known that he made a trip to the U.S. in 1913 – less than four years before his death – during the time when he is believed to have been exiled to Chile 8. Francisco and Maria Teresa’s oldest son Ramon was an eighteen-year-old boy in Ecuador at the time of his father’s death and would remember the deathbed scene till his old age in the 1990’s. He had been employed in Ecuador by W.R. Grace and company translating pharmaceutical labels from English to Spanish. Sometime after his father’s death, he transferred to work at W.R. Grace’s New York location and was working there at the time of the family’s arrival in 1919, as noted on the Ellis Island Ship’s manifest. Maria Teresa was the niece of the Bishop of Guayaquil and her son Ramon would later recount that “she had been an intern at the college of the Sacred Heart in Guayaquil”, that they [the Dr. Martinez family] would have many visitors at their home in Guayaquil and that “…naturally as the niece of the bishop she received special attention.” Guayaquil is the largest city in Ecuador; only the mountain capital of Quito comes anywhere near to Guayaquil in population or importance. 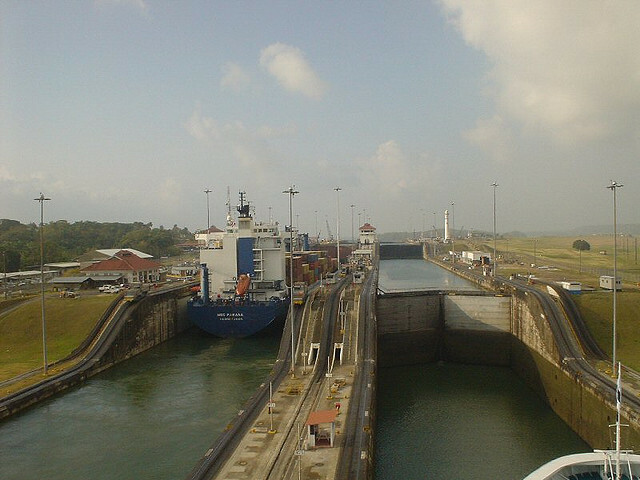 Economically, Guayaquil is the single most important city by far; it is an excellent port. It follows logically that the Bishop of this important city was an important figure in the Church of Ecuador. Dr. Martinez had been exiled for three years in the late 1880’s for his anti-theocratic activities during the presidency of the pro-Catholic President Caamano – his re-publication of El Perico had resumed in 1889- and his marriage to Maria Teresa occurred only five years after his return. It seems logical to assume that Maria Teresa would have had difficulty reconciling the dreadful circumstances of Eloy Alfaro’s Murder (and of Pedro Montero) at the hands of fanatical pro-Catholic mobs, with her own background. Both Alfaro and Montero had very close ties to her family. The cocoa bean was an important crop for Ecuador. There had been a boom in the cocoa industry at the turn of the century but in 1916 the cocoa industry crashed and the first world war added to an economic decline in Ecuador in subsequent years. 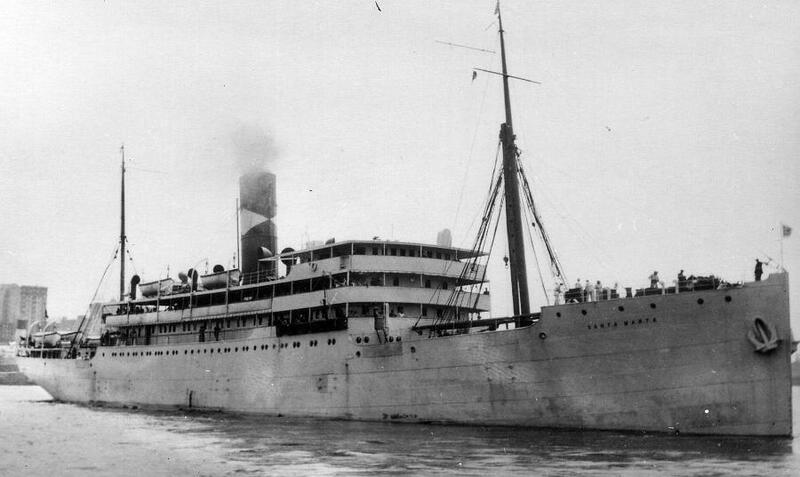 Maria Teresa and her four young children traveled through the Panama Canal 9 in 1919 on a ship owned by United Fruit Company named the “Santa Marta”.and were processed through Ellis Island in late June of 1919. According to her oldest son, she arrived in New York with these four young children and “only enough money to pay for a year’s rent”. Some time after her arrival she had taught for a brief time at St. Vinent Ferrer’s school for girls which was taught by the Dominicans. But she would die within a year of her arrival leaving these young children as orphans in a strange land -a decade before the Great Depression – with no friends or close relatives nearby except for a 20-year old brother. Her remains were interred at Calvary Cemetery in Queens10. After her untimely death in New York, her four orphaned young children became the responsibility of this older brother Ramon, who sent them to be “raised by nuns” (as they would later express it) in a Roman Catholic boarding school.